Comfort foods have a magical ability to pick you up when you’re feeling down. Perhaps it’s the memories they are associated with, taking you back to a special place or a special time in your life, reminding you of a special person, a particular event or occasion. Comfort foods are like medicine for the soul. For some people, comfort foods are carbohydrate laden, guilt inducing foods, for others it’s the flavours of home, childhood or a special vacation. For me, comfort foods are those that take me back to Mama’s kitchen, most notably home cooked Lebanese foods. Last week I wrote about one of my ultimate comfort foods, Mujaddara with salatet malfouf, one of the few foods I crave on a regular basis besides Warak Arish (stuffed grape leaves) and Spaghetti al Pomodoro, which isn’t Lebanese at all, but the first Italian dish I learned to make authentically enough to please a picky Italian palette, and so it holds a soft spot in my heart. I’ve already shared the recipe for Mama’s delicious lentil and rice dish, and promised to share the accompanying salad recipe. So here it is. It’s a great accompaniment to Mujaddara or a nice refreshing and nutrient packed side salad. 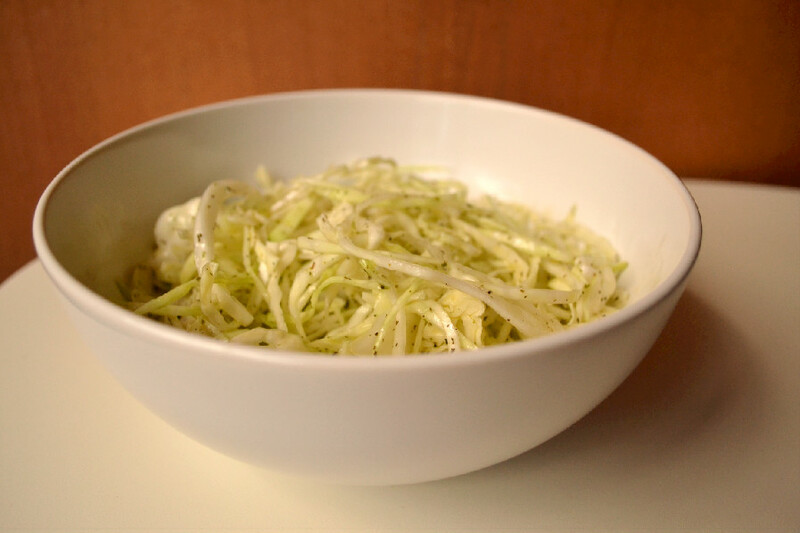 Salatet Malfouf is no other than a cabbage salad, a Lebanese take on slaw for the lack of a better description, without mayonnaise and/or vinegar. 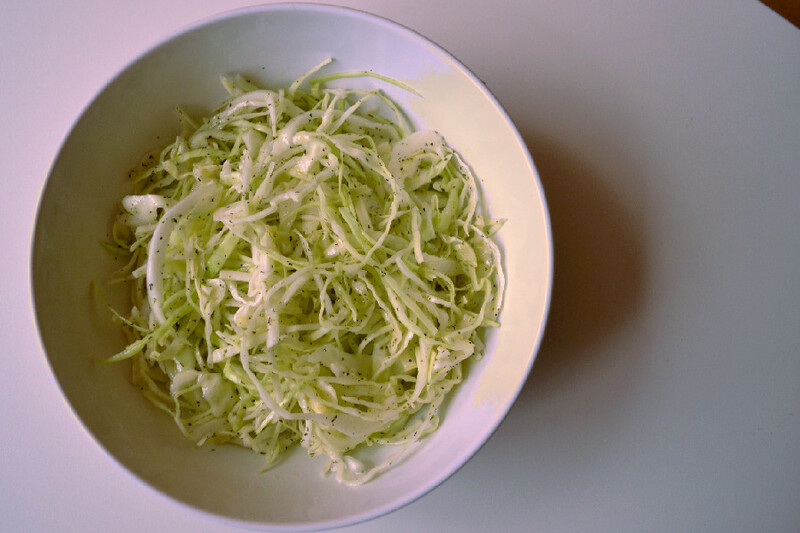 Shredded cabbage is dressed with lemon juice, olive oil, garlic and salt (aka Mama’s Lebanese Salad Dressing) and a healthy dose of fresh dried mint, an aroma which is near and dear to my heart. Thinly slice, wash and strain cabbage. Add to a salad bowl, top with dressing and mint and toss to combine. Serve with Mujaddara or as a side salad to any meal.